Newman is a leading global provider and manufacturer of labeling equipment and solutions, particularly for the pharmaceutical industry. 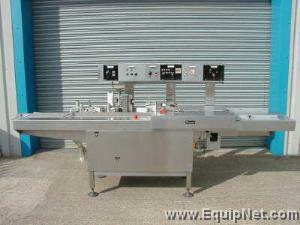 Newman is widely known for producing some of the highest quality labeling equipment in their field. Newman aims for quality, accuracy, and reliability in their line of products to ensure high satisfaction, performance, and productivity. EquipNet is constantly receiving used Newman equipment through our exclusive contracts with our clients. Our inventory of used Newman equipment includes labelers, pressure sensitive labelers, cappers, and more. EquipNet has been selling Newman equipment for well over a decade. If you don't see the used Newman equipment you're looking for, call one of our representatives and we'll find it for you. We can also source the right tooling and change parts that you need through our huge network of corporate clients from around the globe. Newman produces various labelers that meet the requirements of all different pharmaceutical and biotech industries. Newman's line includes labeling equipment for syringes, glass bottles, plastic bottles, securitainers, and more. 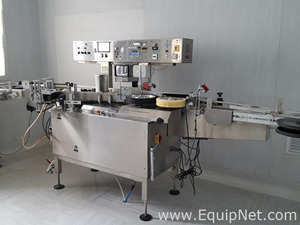 EquipNet carries a variety of used Newman labeling equipment including VAL 550 Bottle Labeling and Packaging Line H, NV 2 Labeling Machines, 5FL bottle Labelers, Wrap Around Labeler Model 6 VAs, and much more.